If you are anything like me you’ve heard the craze about the retail store Anthropologie, “Anthro” for those in the know. But if you’re like me, then you’ve been inside once or twice, looked at price tags, and left. But for most twenty something women, Anthropologie is one of the only stores they shop at. Their following is tremendous. Their clothing is highly desired and actually holds its value decently compared to other store brands like Target’s Mossimo or Merona (Don’t get me started about how Mossimo is a sell out and the first big purchase I made as a teenager was a Mossimo bikini from Nordstrom that cost me $100, but like I said don’t get me started). I hope this helps you if you find yourself in a similar pickle! Poshmark is an app that makes it easy for you to buy or sell your old clothes. All of the boxes that you’ve been saving for a garage sale? List them on Poshmark! You will make 10 times as much by listing individually, than selling at a garage sale for $1 each. Legitimately, Poshmark is a platform that people sell clothing, shoes, purses, and jewelry to other people that are just like them. You can make Poshmark whatever you want to. My personal goal is to make it a profitable full time job. I work extremely hard day and night on it. Crazy right? But it doesn’t have to be. I could easily snap a picture of the jeans that I’ve never worn, and list them for $15 and never open the app again, until they sell. I’ll go into detail about my process, and about the basics of online resale, in another post. I just wanted to answer the “What is Poshmark?” question. The two most important aspects of online resale apps, where your stuff actually ends up selling, are shares and followers. I’ll write about followers in a different post later. For now let’s talk about sharing. 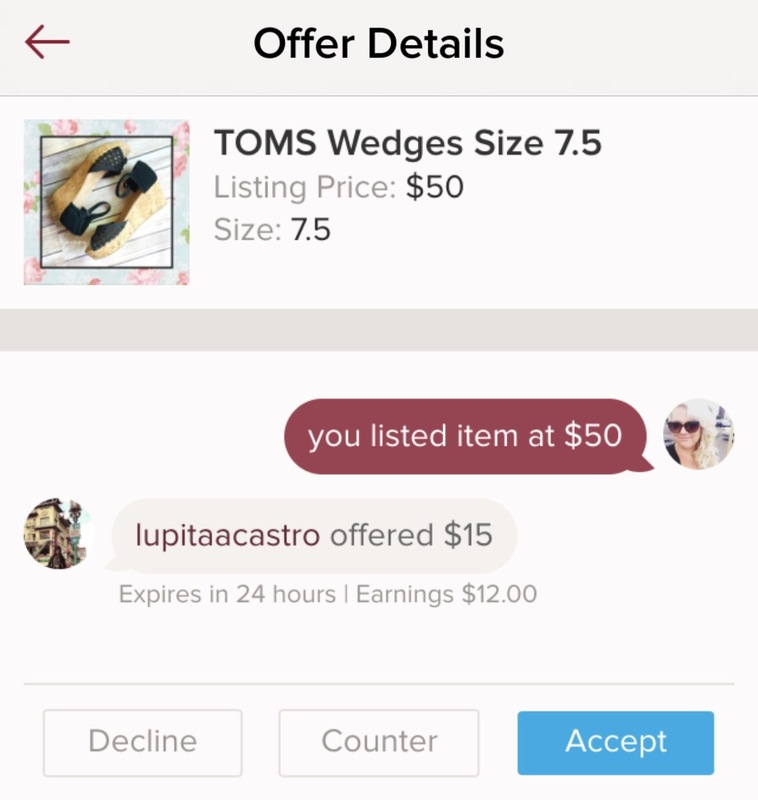 On Poshmark there are two ways to have your listings shared. The first is self-shares, where obviously you go in and share your item. The second is to let other people do the work for you! How do you get others to share your stuff? By sharing theirs. It is Posh-etiquette to share someones listings if they have shared yours. Share for share, so if they share 5 of your listings then you should share 5 of theirs. Once you are really rolling deep in Posh, it can be confusing of if you shared that persons listing first and the shares you get notified on are share backs, or if you have to share back. After a while everyone’s names and closets start to look the same! Sell your listings faster by self-sharing 3 times a day morning, noon, and night. Share your PFF’s and random Poshers listings and benefit from others doing the work. Anyone notice that every time you get a low ball offer on Poshmark, the posher has almost the exact item in their closet for more than your asking price? What’s up with that? Do they think I’m not going to check them out?